Ocean Isle Beach (OIB) is a quiet, family beach community where folks drive their golf carts on the roads and where life seems to slow down a bit. It’s a small quaint place that Bryan and I enjoyed taking our children to when they were younger. 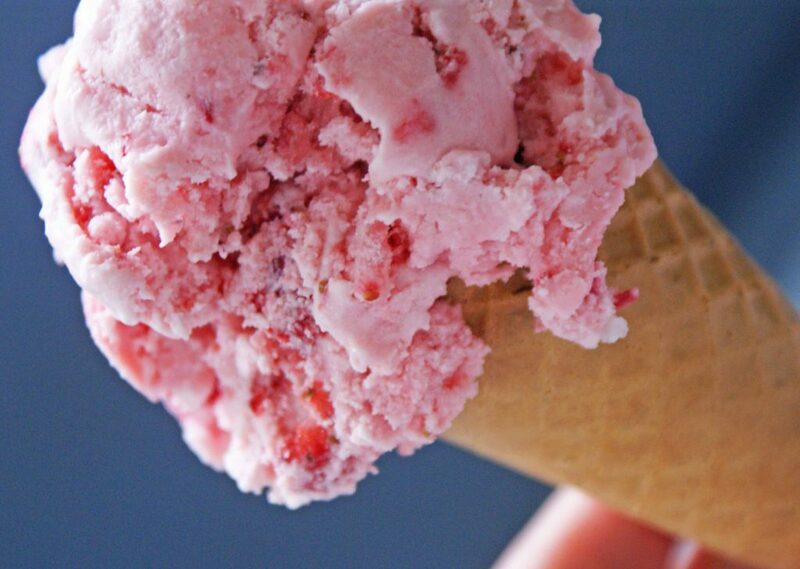 OIB is home to one of the sweetest ice cream shops around that serves the most delicious homemade strawberry ice cream. I mean to tell you, it is yummmmmmy! 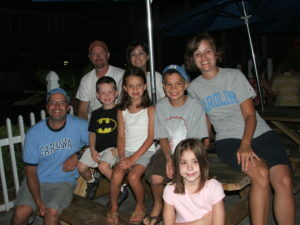 Years ago, my cousin Adam, and his family, vacationed with us at OIB for a week of fun and sun! As we prepared for our trip down to the coast, I told Adam and Candace about the things we could do at OIB. Of course, I mentioned this fabulous ice cream shop and the delicious strawberry ice cream. I remember telling Adam it would be the best strawberry ice cream he had ever had! Sure enough, while on our trip, we made our way to the ice cream shop and out of all the flavors available, Adam chose strawberry. Smart choice! GOOD? What did he mean, good? It is fantastic! Here we are—back in 2009! What about you? Have you ever over-promised and under-delivered? Maybe it wasn’t about how wonderful a flavor of ice cream was, but maybe you told someone you were going to do something and then you did not do it. Maybe you told a friend you would be somewhere and something came up so you were unable to go. Maybe a coworker asked you to pray for them and you said you would, but then you forgot. Maybe like me you have had good intentions and you really wanted to stick to a commitment that you made, but life got in the way and you backed out of your commitment, letting someone else down. From time to time, we break promises. We don’t follow through. We are not true to our word. Lately, God has been reminding me of how important it is for me to do what I say I am going to do! He has been reminding me that I should be careful not to overcommit myself to things I do not plan to stick to! He has been reminding me that I should be a person of my word and that my integrity is vital to my walk with Him. Talk is cheap! Living out my faith takes action! The first son did not agree to go work, but he changed his mind later (another version says he repented), and he went to work. The second son said he would go to work, but then he did not go. Which son pleased the father? When you and I fail to keep our word, it affects our trustworthiness. It causes people to lose respect for us. It also affects our friendships. Friendships are typically based on trust and it’s almost impossible to trust someone who does not keep their word. My friend, you and I need to be people who are trustworthy. We carry the name of Christ. We are to be like Him! People should be able to count on us! When we say we are going to do something, we should not need five reminders to do it! If we say we are going to do it, then we need to do it! You and I are human and of course none of us are perfect, but that does not give us an excuse to repeatedly not follow through on our commitments. God’s Word is clear that our words matter! We are accountable for our words—all of them! Let’s be ever-more cautious to be a person of our word. When we make a commitment to do something, let’s be determined to stick to it! Love love love this post! Thank you Joy! So many people don’t do what they say they will do. Even Christians ! We should do just like you say. Follow thru! I have sons family members who need to read this! This happens to me all the time. I get tired of it. People promise to help and turn there backs on you! Thx for this. I hope other people read it and change there ways.